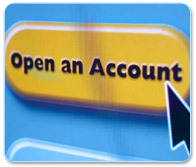 The account opening forms are available at our office and with our Clearing Member and Brokers. You are requested to kindly contact a them nearby your area and complete the account opening formalities for commodities trading. Also you can take a print out and fill out a simple account opening form from our website and complete the necessary documentation as per the checklist enclosed in the form. The form after duly filled up may be deposited at the HCC office or nearest Associate along with fund transfer receipt from Bank towards initial margin. Please remember the Clearing -Client / Broker-Client agreement has to be executed as per bye laws. You need to deposit an initial upfront margin as specified by the exchange (usually between 4-8 % of the contract value). In addition to initial margin, you also need to keep a mark to market margin for taking care of the adverse price movements, if any.